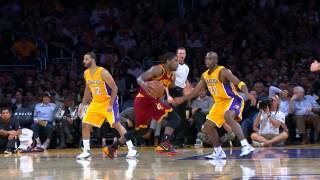 Check out the best ankle-breaking crossovers from the month of January 2014 as Kyrie Irving, Kevin Durant, J.R. Smith and other NBA stars show off their smooth moves. You are here: Home » NBA » Top 10 NBA Crossovers: January 2014. Top 10 NBA Crossovers: January 2014. June 18, 2014 6:38 pm 32 comments Views: 2. Top 10 Crossovers of 2013 ... January 11th. NBA TV Schedule. About. About the NBA; Contact Us; Career Opportunities; ... 2014 NBA Playoffs; 2014 NBA All-Star; NBA 101.